The International School of Screen Acting is the leading specialist screen acting school in the UK. ISSA is a unique drama school dedicated to preparing actors for today’s TV and Film Industry. 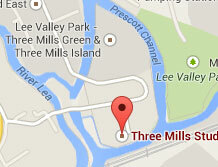 Based within the prestigious 3 Mills Studios, we are in the heart of a creative and successful media village. The School offers an exclusive vocational training dedicated to Screen Acting. One Year Advanced Professional Training in Performance for TV and Film (22+Years). A course designed for the experienced student. Two Year Professional Training in Performance for TV and Film (18-21Years). Available for those looking for an Introduction to Screen Acting or to enhance their skills. This course also serves as an insight to those who would like to audition for the full-time courses.